- More zombies, more terror and more evil. - More challenging enemies that come back to life at any time. 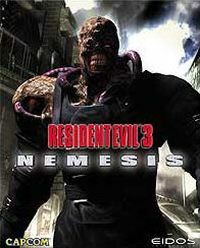 Face off against the most terrifying mutations stalking the streets of Raccoon City. - More detailed character actions. Try the dodge move to avoid an enemy's attack. - Interact with the environment like never before. Use background objects defensively. - A unique new drama which reveals more details of Umbrella Corporation's devious activities from the Resident Evil series.